The profile and biography of the Malayalam actress Sruthi Lekshmi is given below. She has appeared in more than ten films but none of it was a superhit. But still she has made her part clear by giving her best in making each character successful. If she has found a place in the mind of viewers, then it is her self effort and was never backed by any movie fame. Read the below article to know more about her personal life and career life. Sruthi Lekshmi, the cute little girl with long hair hails from the capital city of Kerala - Trivandrum. Even though you may not know her, you will be quite familiar with her mother, Lissy Jose a Malayalam serial actress. Yes, Sruthi is the youngest daughter of Lissy Jose. Sruthi did her schooling in Trivandrum itself and she further completed her graduation from Mar Ivanios College, Trivandrum. Sruthi Lakshmi started her career as a child artist and now she is a grown-up girl who is playing lead roles in films. Sruthi Lekshmi, who has started her career as a child artist is quite familiar with the basics of acting as her mom is a renowned serial actress. Sruthi appeared for the first time in the television serial "Nizhalukal", written by Ranjith Sankar. This serial was telecasted in the Malayalam channel Asianet in the year 2000. Her debut film was "Romeo", directed by Rajasenan in 2007. This film featured Dileep, Vimala Raman, Sruthi Lakshmi and Samvrutha Sunil in the lead roles. This movie has three heroines and one hero. Sruthi gave life to the character Bhama, an Iyer girl who wants to become a Singer. Bhama will later marry Subramanian (Ashokan) even though she fells in love with Manu (Dileep). This film was an average movie. "Rakshakan", directed by Thulasidas was her second movie. This movie released in the year 2007 was a flop. Sruthi's third film "Love In Singapore", directed by Rafi Mecartin was released in the year 2009. This movie was a huge failure. Her next movie "Bharya Swantham Suhruthu" also could not do wonders at the box-office. This movie was directed by Venu Nagavalli and was an average movie on the whole. Then she appeared as 'Rohini' in the movie "Dalamarmarangal", directed by Vijayakrishnan. Rohini is a girl who lead luxurious life and has well off parents. But her family atmosphere makes her sad and she fells in love with a poor guy. Even though the movie was a flop, Sruthi had performed well and had put in lot of effort to make her character good. In the year 2010, Shruthi appeared in the movie "Swantham Bharya Zindabad", directed by Biju Vattappara starring Guiness Pakru, Mukesh, Sruthi Lekshmi etc. Sruthi gets married to Pakru who is a communist. But she never believes in communist ideals and she is a huge fan of the actor Pavan Kumar (Mukesh). This movie too was a flop. Her next film "Holidays", directed by M.M Ramachandran (Atlas Ramachandran)was a disaster. In this movie Sruthi appears in a small role as Lekha Paul, a girl who is trapped by few ruffians and will be later found dead. Her next film "Bangkok Summer", directed by Pramod Pappan released in the year 2011 was too a disaster. In this movie she played the role of a Muslim girl 'Raziya'. Sruthi also appeared in the female lead role in the movie "Aazhakadal", directed by Shaan. She gave life to the character 'Kochurani' opposite Kalabhavan Mani (Kunjumon). This movie and her next movie "Sundara Kalyanam", directed by Chandra Mohan was too a flop. "Pachuvum Kovalanum", a Taha film was her last film in the year 2011. This movie also could not bring in any collection. Somehow, all the movies in which Sruthi had a role did not come up. It may be a reason why she is left unnoticed. But she has lot of potential in her which will be brought out in future. Her debut Tamil film is "Paaraseega Mannan". 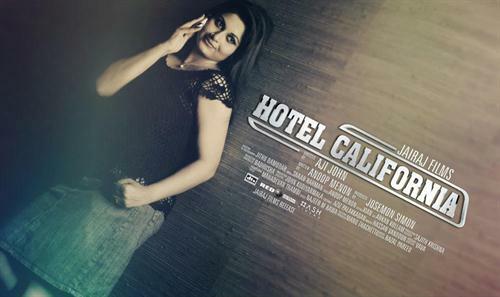 Her upcoming movie in 2013 is 'Hotel California' directed by Aji John.